It’s a bat mobile! No, not the kind that Batman cruises around in. 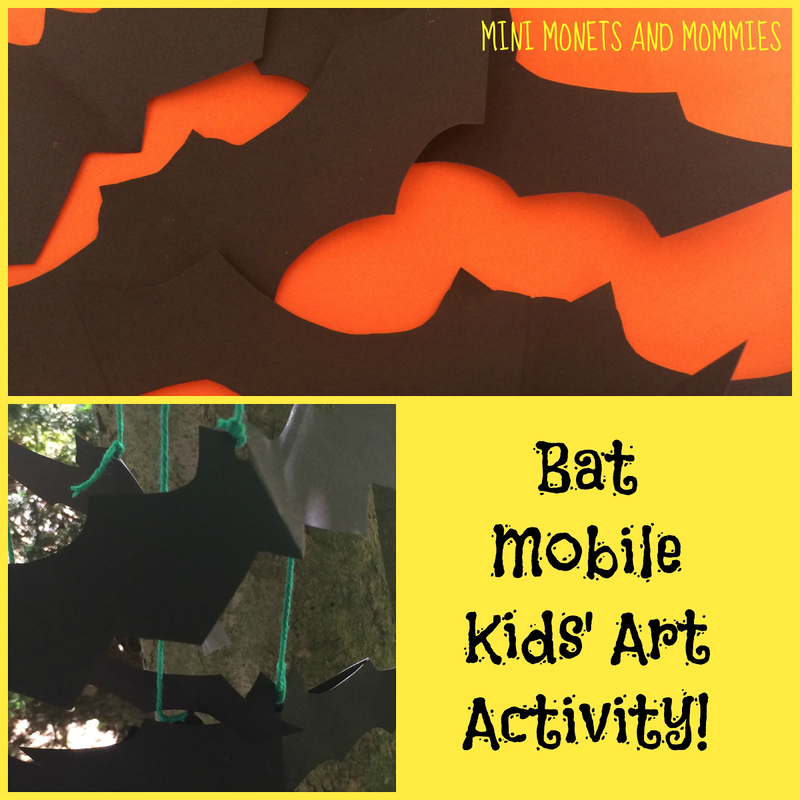 It’s a mobile – with bats. 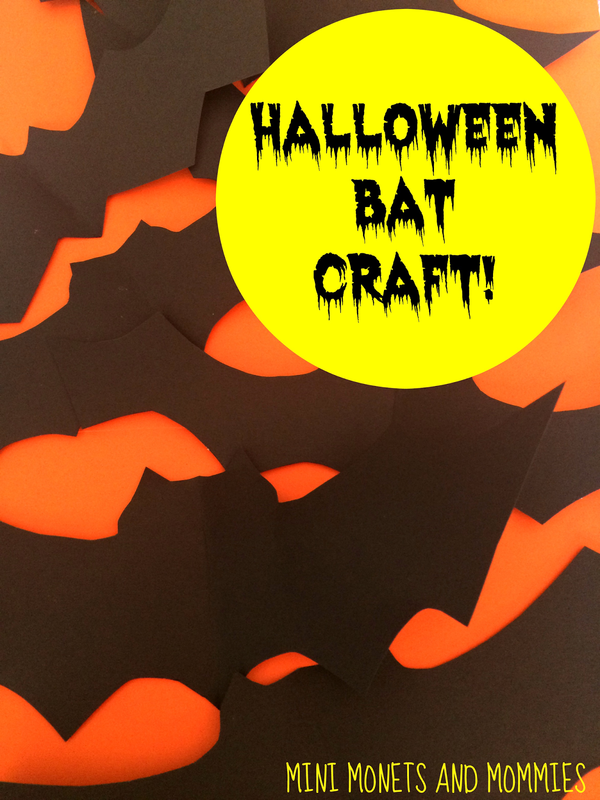 This easy-to-make Halloween craft for kids is super-simple and even teaches a lesson or two about science. How? When the mobile’s complete, use it to discuss physics (yep, physics!) with your child. I’m not talking about the type of science content that was in your senior year physics class. Instead, help your child to explore basic concepts such as gravity and motion. 1. Fold the card stock in half, book style. 2. Draw the bat. Have your child start at the center and draw half of a bat. 4. Unfold the paper. 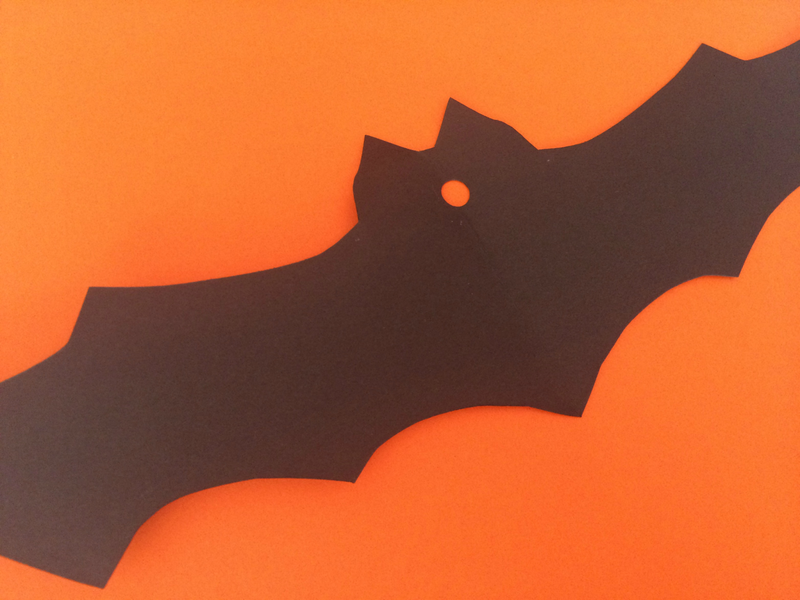 Like magic, your child has a symmetrical bat. 5. Punch a hole at the top of each bat. 6. Cut pieces of yarn in different lengths. 7. Tie one piece of yarn through the hole in each bat. 8. Cross two plastic straws, making a plus sign. Weave a piece of yarn around the center (where the two straws cross) and tie the ends. 9. Add another piece of yarn to the center of the straw plus sign. Leave the other end free to tie up the mobile. 10. Attach the bats to the ends of the straws. 11. Tie the loose end of the center string to a tree limb outside or a post indoors. Play with weight and move the bats around. Untie a few of the paper flying creatures and move them all to one side. Investigate what happens when the balance changes on the mobile. 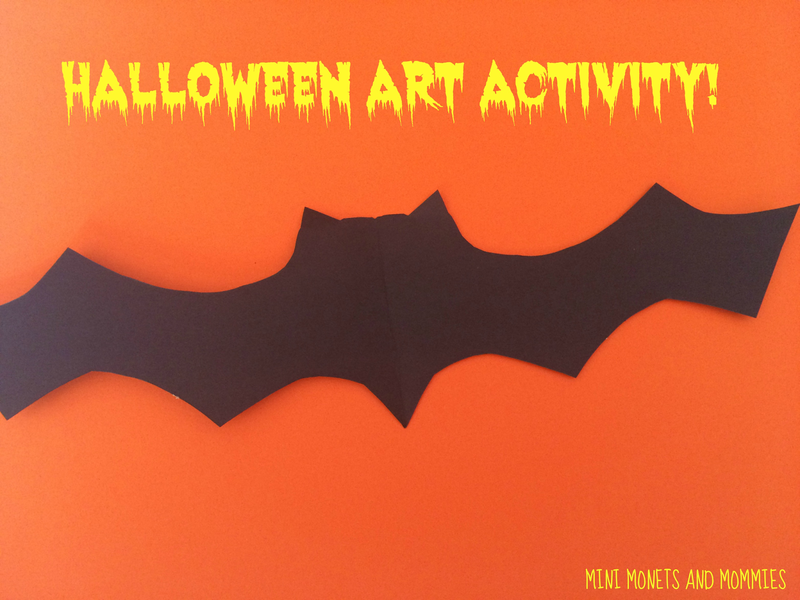 Are you looking for more fall art projects? Follow my Pinterest board for ideas! 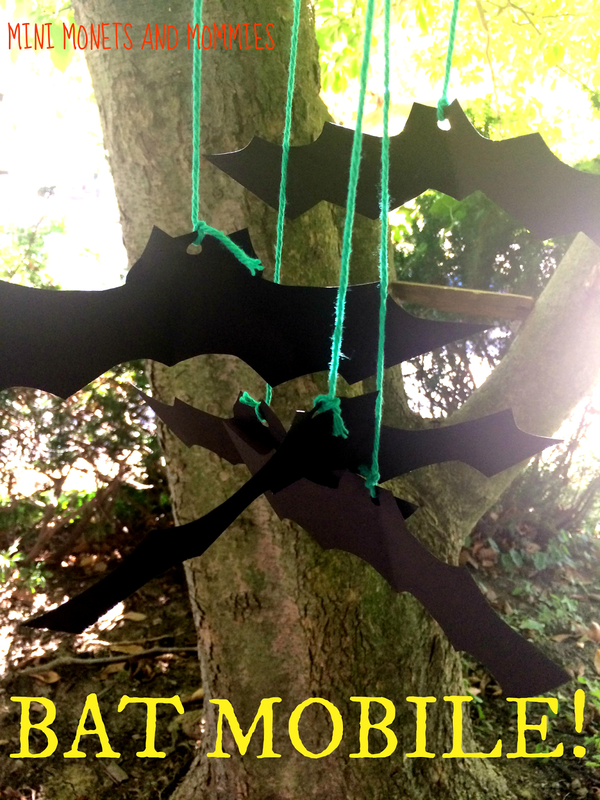 Hey we made a load of bats and stuck them on bags - never thought to make a mobile - thanks for sharing. Great craft! I just wanted to let you know that I have a kids activities submission site (Simply Creative Kids) and I am linking to this post if you don't mind. You are welcome to submit any projects to my site if you'd like! Thanks, and I'll go over to take a look right now.